Monte- Never new tamiya did this kit will have to keep look out. Good luck finding one my friend. 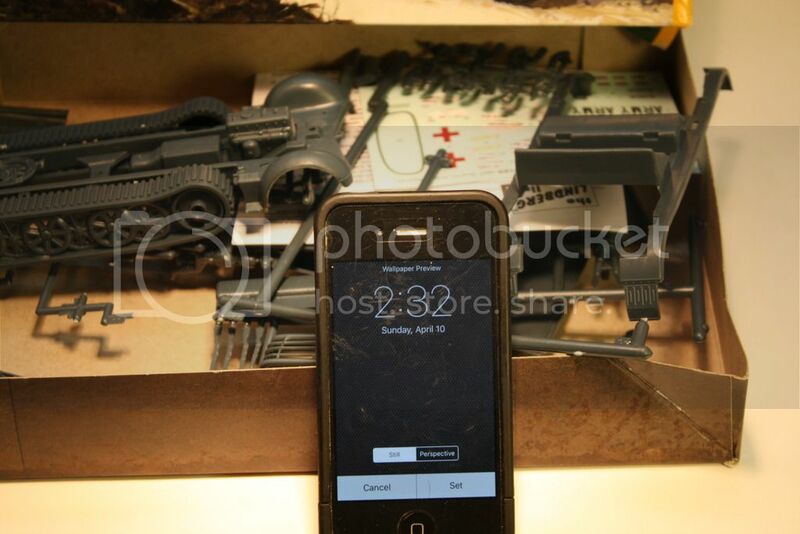 The kit has been oop (out of production)for some time now. 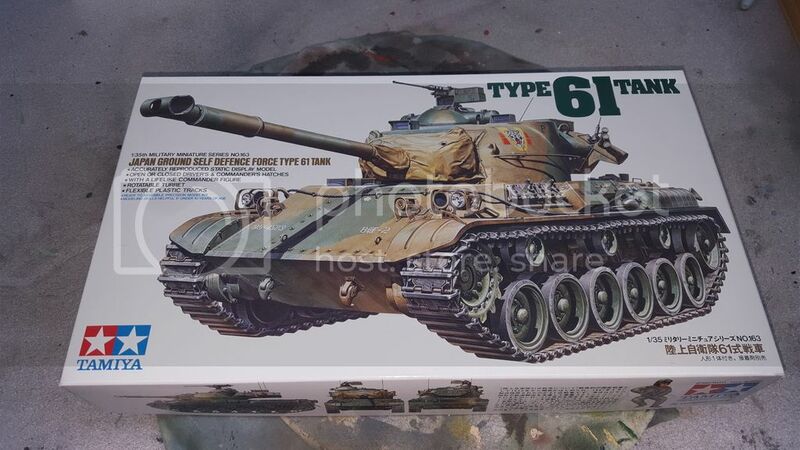 Fine Molds released a Type 61 about a year ago that is available. 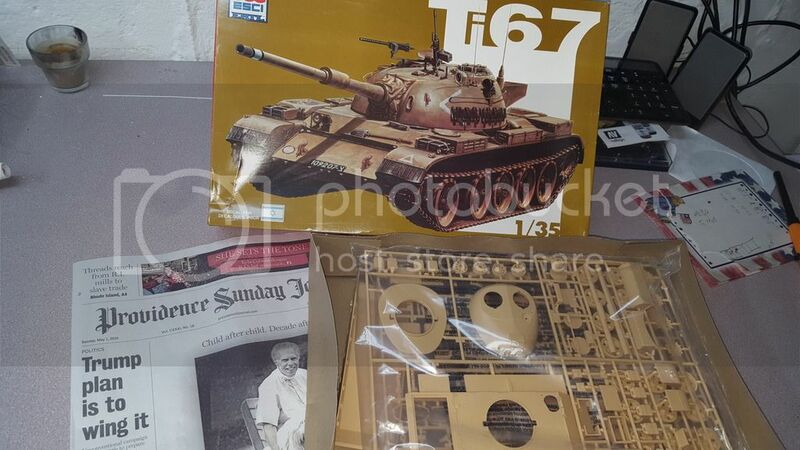 The date stamp on the inside of the hull of this kit is 1970. It doesn't give me a warm fuzzy feeling inside. I'm entering with the Aeroplast BM-8-24 kit. 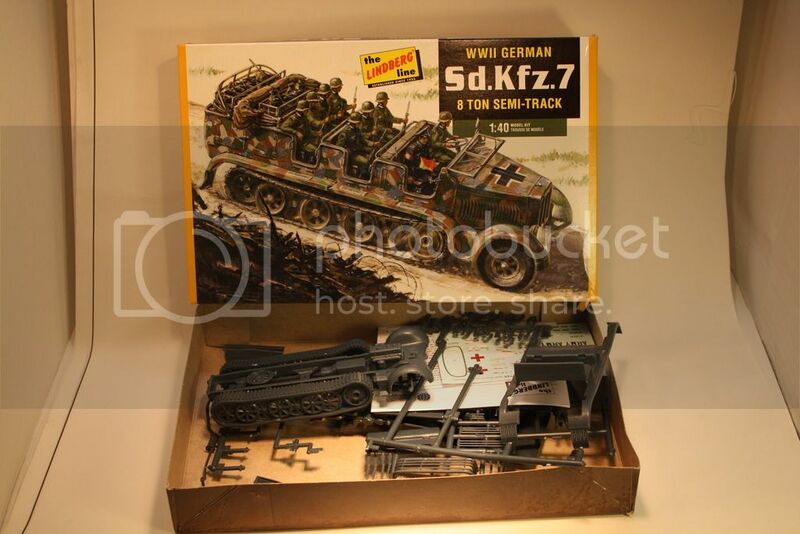 Thing is I have two of these kits. 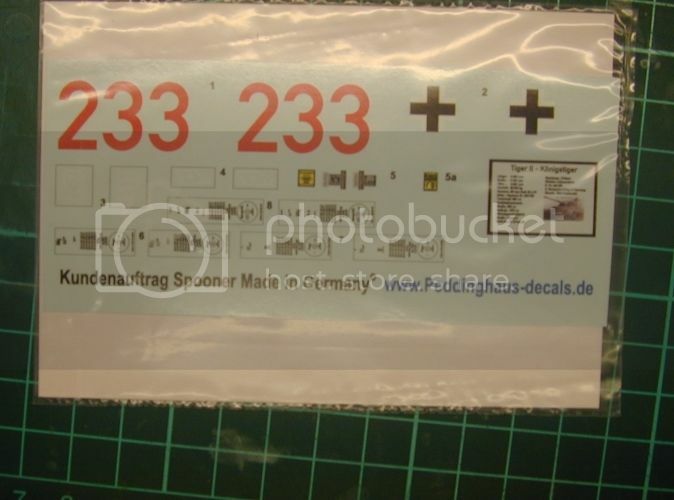 I ordered some AM stuff from Poland and saw this kit for a few bucks, so I was like, why not? Weeks went by and nothing came. I contacted the seller and he shipped out a replacement right away. Months down the road, the original package finally arrived well after I got the replacement! 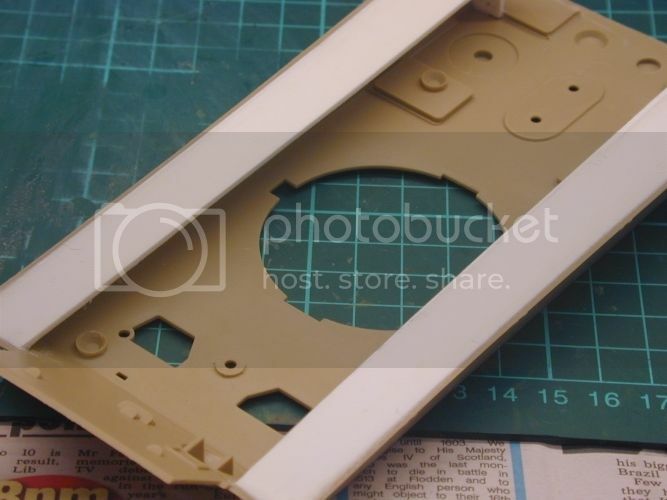 In this kit the T-60 turret parts included, so I'll be building this one as the T-60. Started with the turret. Added some detail with some evergreen and brass. Drilled a hole out for the pistol port. Plugs in the pistol ports from spares bin, removed molded lever and added my own from spare PE and some evergreen. After lots of sanding and some filling, added the missing rivets, and reworked the hatch hinges and positioned the hatch in the open position. I'll be working on and off, got other campaigns. Here's to a good start. Are you using one kit for two campaigns? Yes I am Lakota. Didn't see any rule against it in either campaign. I'm pretty sure the basic guidelines for campaigns on this network prohibit entering the same kit into multiple campaigns. Never gonna' give EU up, never gonna' let EU down. Except one there is a specific guideline from the Campaign Manager, which is not the case here. I got some work done on my KV-2. Lots of ejector marks but otherwise a nice kit to build, so far. Removed by original poster on 04/10/16 - 03:56:57 (GMT). OK Gents. Apparently I broke an unwritten rule by entering the same kit it two campaigns. Since it is not my intention to piss anyone off I will play by the unwritten rule and change my entry to a different kit. I trust this will be a satisfactory solution? Finally getting around to posting my Doggie!! Looks great so far! The only thing I've got done as of yet on my Trumpeter Abrams is fixing the antislip coating with Rustoleum textured spray on the hull. 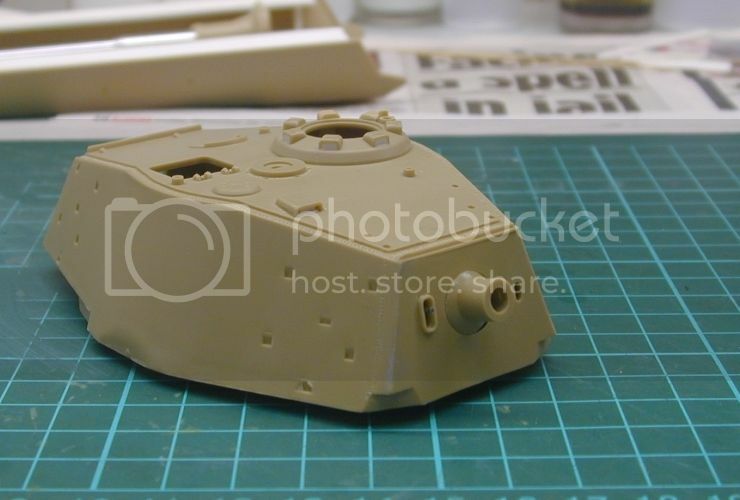 Will do the turret this weekend and upload photos. I'm certainly enjoying seeing some of these doggies come to life. Many of these kits are unknown to me. 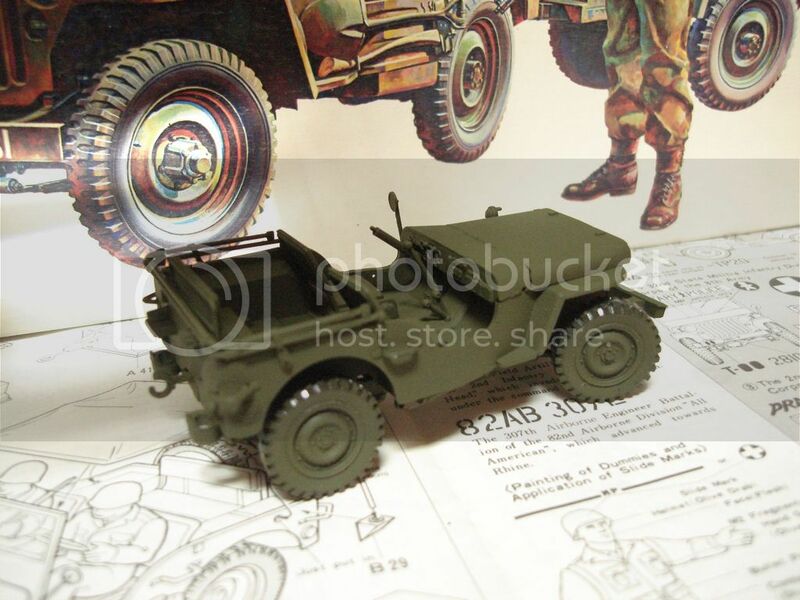 How old is that Lindberg half track? It most be over 5 decades old by now. Thanks. 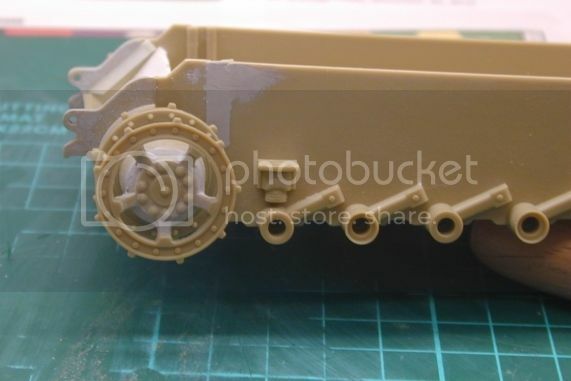 Tried building an Italeri Abrams myself some time ago and gave up. Some minor work done. Ditched the kit driver's hatch and made my own with some evergreen and added some hinge detail and bolts. Also added the missing pistol port and plug. 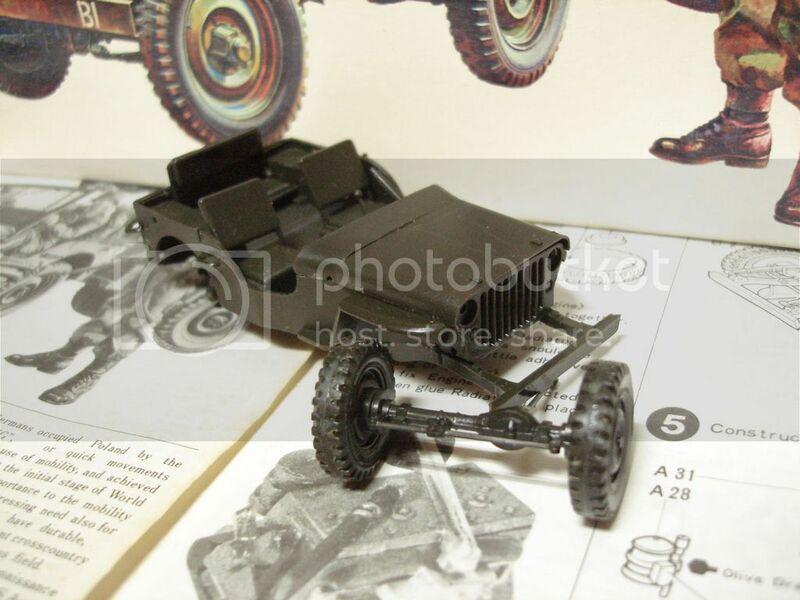 Tom-those tamiya jeeps are ancient cant wait to see how it comes out! thanks Steven .. me too .. 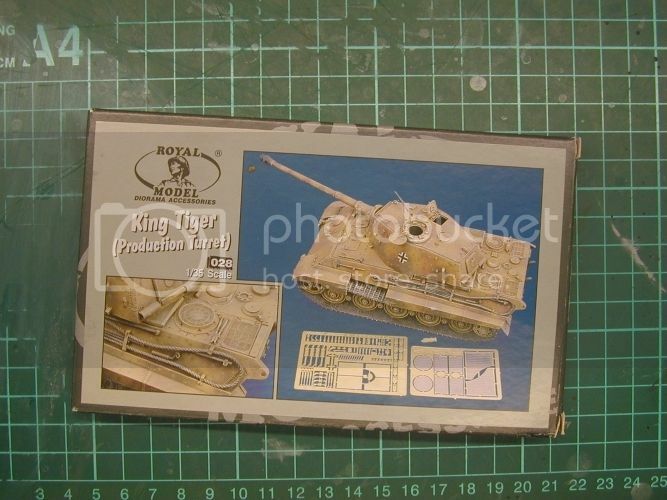 Finally got done the jungle diorama i was working on, now its all systems go on the Tiger ll. 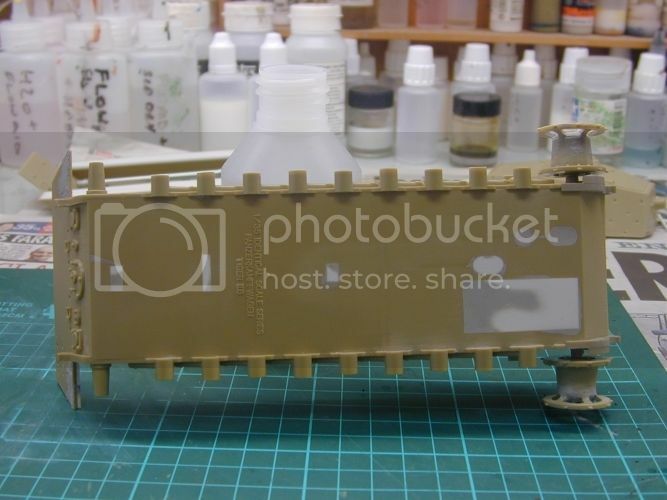 Had a re-think on the zimmerit done with wood filler as it seems a bit on the grainy side so will stick with Epoxy putty. 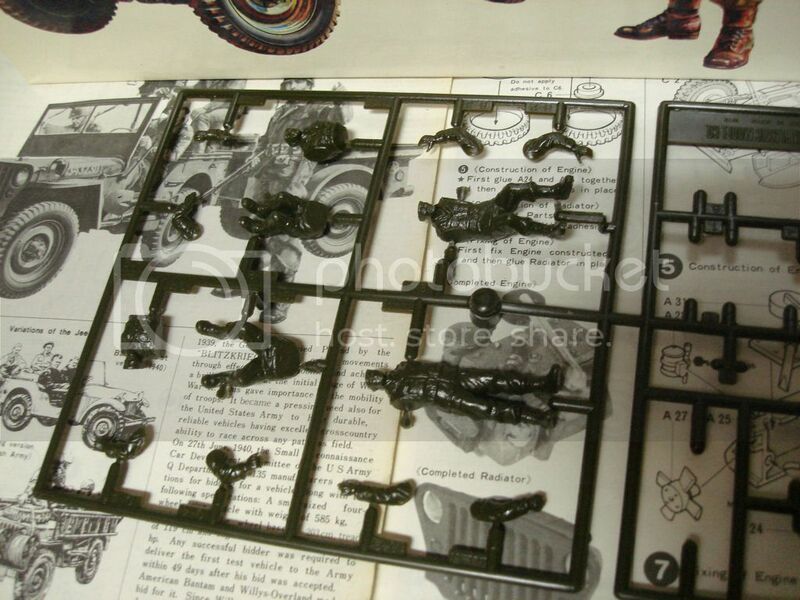 Only pain was the missing etch in the royal model detail set but thats is on its way. Finally a big thanks to jpeddinghause decal for a custom print decal set for this tank. Fitted some plasticard under the upper hull. 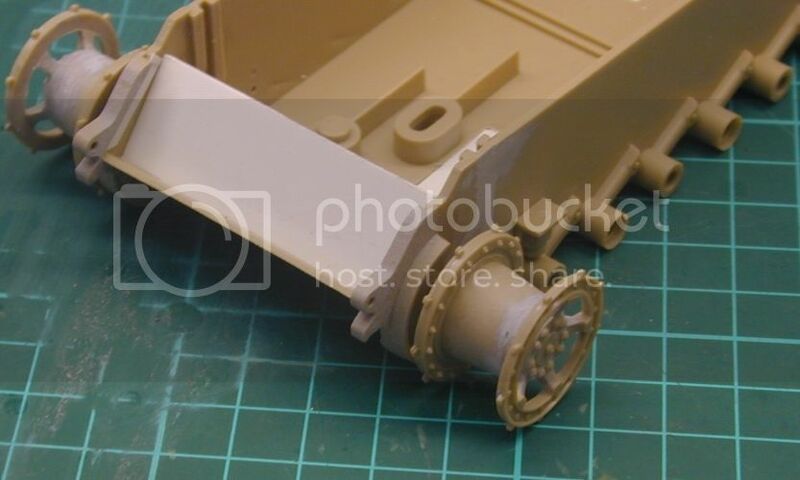 Abit of reinforcement on the front of the hull..
Turret was a bit of a mission with the front needing little putty..
YOU CAN RUN,BUT YOU WILL ONLY DIE TIRED! What paints you using tom? 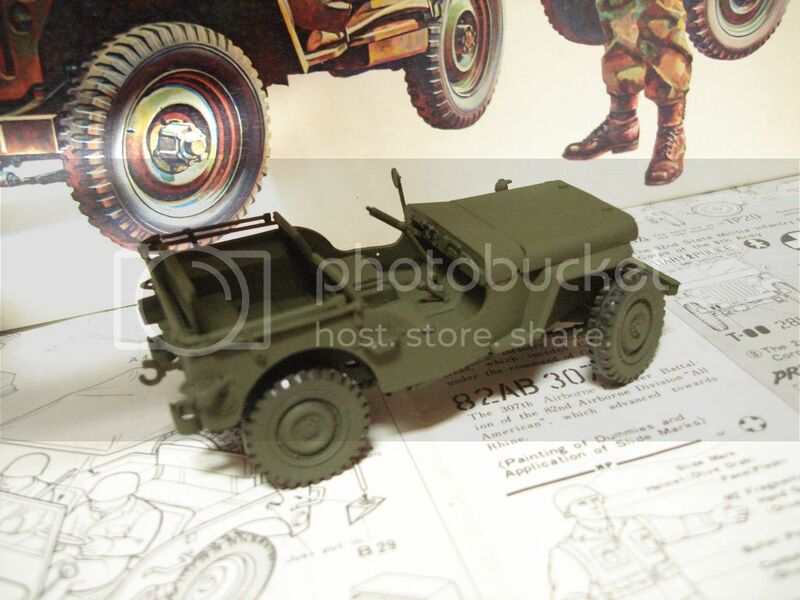 mix of Tamiya olive drab (xf-62), a touch of nato green (xf-67) and a tiny drop of the flat white (xf-2) ..
Good thing about tamiya paint it drys out nice and flat! I have been temporarily derailed by painting/moving/schlepping boxes and belongings. The next month will be nuts, but I shall return! I have not gotten far into my build, but I'll be back.